MK Dons leapfrog Lincoln, who did not play on Saturday, at the top of Sky Bet League Two. 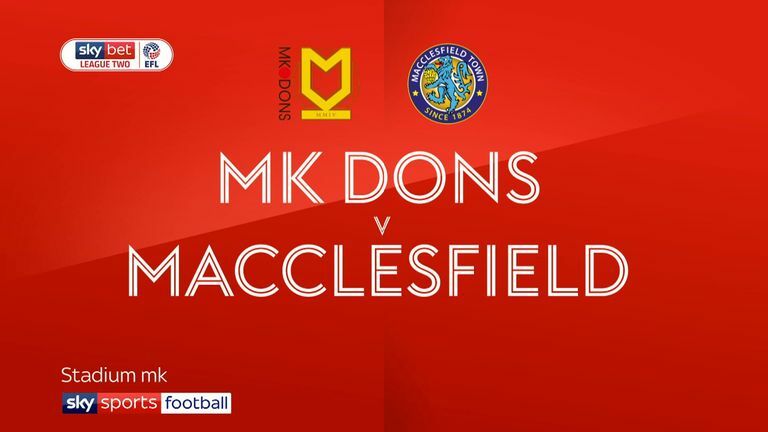 MK Dons climbed top of Sky Bet League Two with a 2-0 home win against bottom club Macclesfield. Striker Chuks Aneke's 10th goal of the season broke the deadlock early in the second half and Kieran Agard doubled MK Dons' lead with 25 minutes remaining. Paul Tisdale's side extended their unbeaten league run to 10 matches and sit one point clear at the top above Lincoln, whose game at Yeovil was postponed as they had three players on international duty. Newport registered their first league win in five games and moved into the automatic promotion places with a 2-0 home victory against high-flying Colchester. Second-half goals from Jamille Matt and Cameron Pring saw Newport leapfrog Colchester into third place. Exeter were denied a top-three spot as Andy Williams' last-minute equaliser snatched Northampton a 2-2 draw at St James Park. Mansfield stretched their unbeaten league run to 11 games as CJ Hamilton's solitary strike just before the break sealed a 1-0 home win against Port Vale. The Stags moved up to fifth, while Port Vale midfielder Manny Oyeleke was sent off with 26 minutes left for his second yellow card. Tranmere slipped to seventh after going down 3-2 at Crewe, who halted a run of four straight defeats in all competitions. 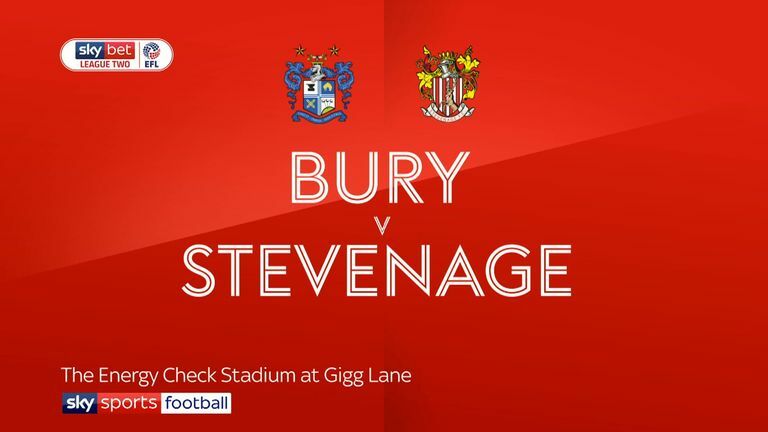 Bury notched their fourth straight win in all competitions with a convincing 4-0 home win against 10-man Stevenage. Forest Green slipped to back-to-back league defeats as Aaron Wildig's late goal sealed Morecambe a 1-0 win at the New Lawn. Carlisle made it back-to-back league wins by thumping Swindon 4-0 at the County Ground. Ashley Nadesan and Regan Slater struck either side of half-time before Jamie Devitt's free-kick and Slater's second put the Cumbrians in charge. Ahkeem Rose's late effort clinched Grimsby a 1-0 home win against Crawley and Oldham hit back from behind to register their first league win in four with a 3-1 victory against Cambridge. 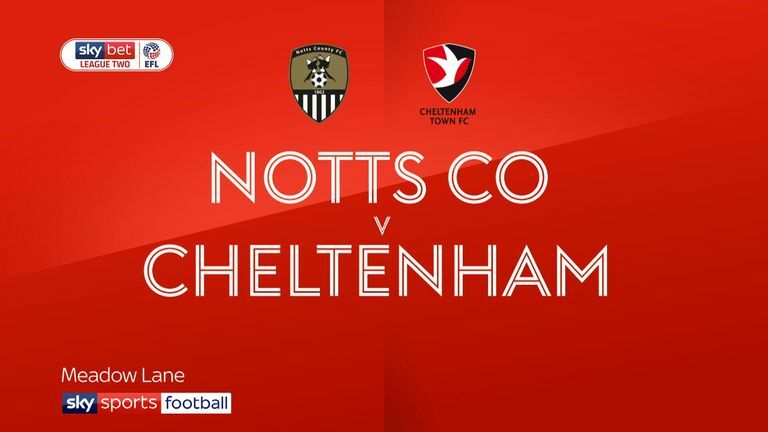 Notts County's winless league run was extended to six matches as they lost 3-0 at home to relegation rivals Cheltenham.